The coarseness of pepper is determined by its "mesh". The higher the mesh, the finer the pepper. Black pepper is dried small immature berries of climbing vines. White pepper is mature berries with hull removed. Uses: White pepper is good in white sauces so as not to distract from white cream texture. 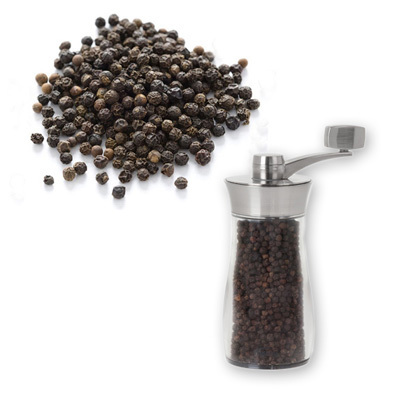 Black pepper is used in pickling, soups, gravies, meats, vegetables, fish and egg dishes.